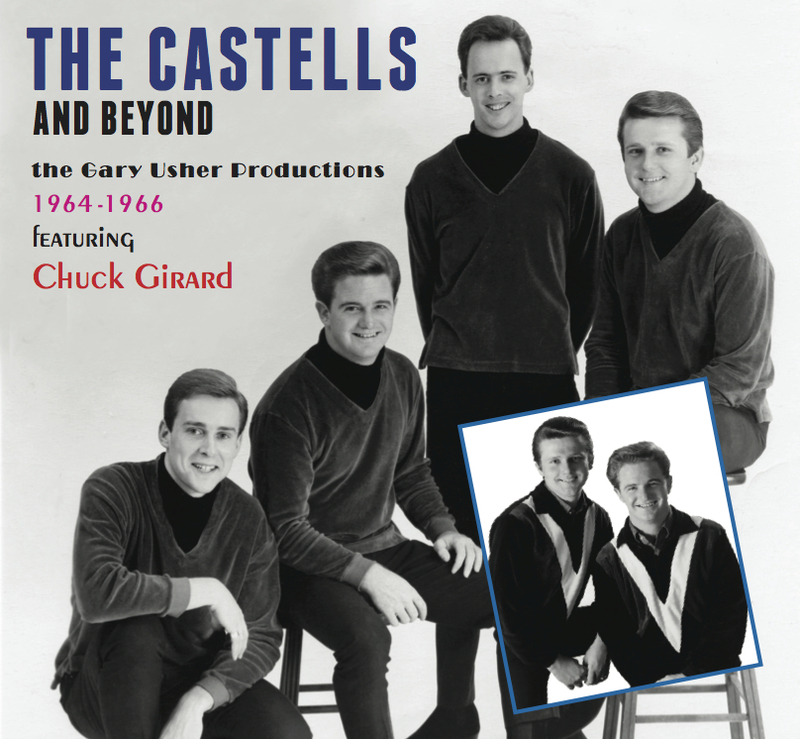 Teensville Records is proud to present The Castells & Beyond: 1964-1966, collecting 34 rare & hard-to-find tracks for the very first time on compact disc. Studio wizard Gary Usher was the mastermind behind many of The Castells post-ERA releases. Listeners will be able to hear them all in this collection, including previously unreleased tracks and alternate takes. Also included are records and songs created by Usher and Castells lead singer Chuck Girard: these include six sides by child prodigy Keith Green, pop/folk/surf group The Devons, R&B duo Chuck & Joe, The Neptunes, and more!